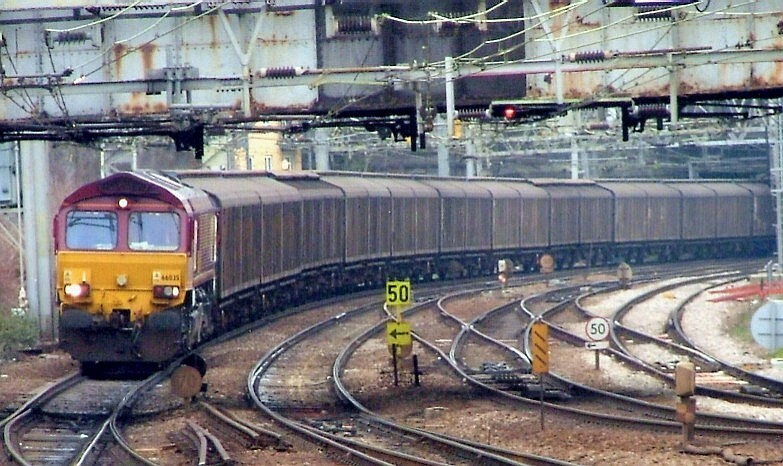 While having timetabled freight services scheduled for Class 66 haulage down south in England, The Class 66 still has no timetabled operations up in Scotland and are still being used on driver training or test runs. 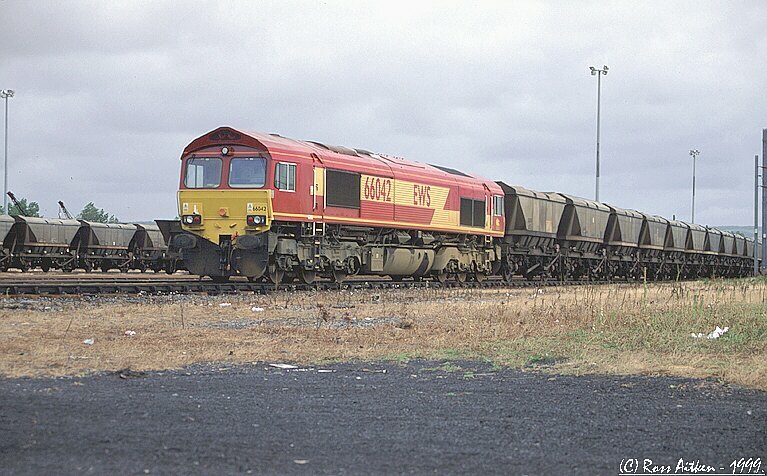 In this view 66032 lays over down the back of Millerhill depot at the Wagon Repair Shops, well out of sight of the main depot on Friday 12th March 1999. Canon EOS500N with a Canon 70-300mm lense set at 200mm using a circular polariser and taken at 1/45th @ f5.6 (Light reading taken from underframe of loco) on Kodak Gold 200 film. 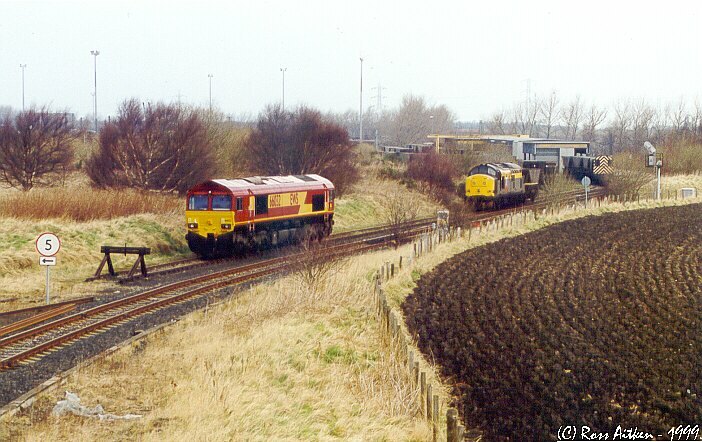 66032 stands at Millerhill Wagon Repair Shops, well out of sight of the main depot, while 37153 can be seen shunting some coal hoppers around on Friday 12th March 1999. Canon EOS500N with a Canon 70-300mm lense set at 100mm using a circular polariser and taken at 1/60th @ f5.6 (light reading obtained from field) on Kodak Gold 200 film. 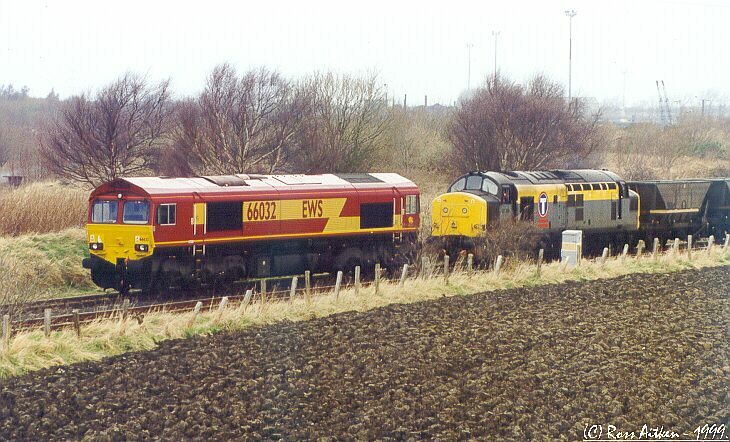 Old meets New... 66032 stands at Millerhill Wagon Repair Shops, well out of sight of the main depot, while 37153 stands adjacent to it while in the process of shunting some coal hoppers around on Friday 12th March 1999. Canon EOS500N with a Canon 70-300mm lense set at 135mm using a circular polariser and taken at 1/45th @ f5.6 on Kodak Gold 200 film. 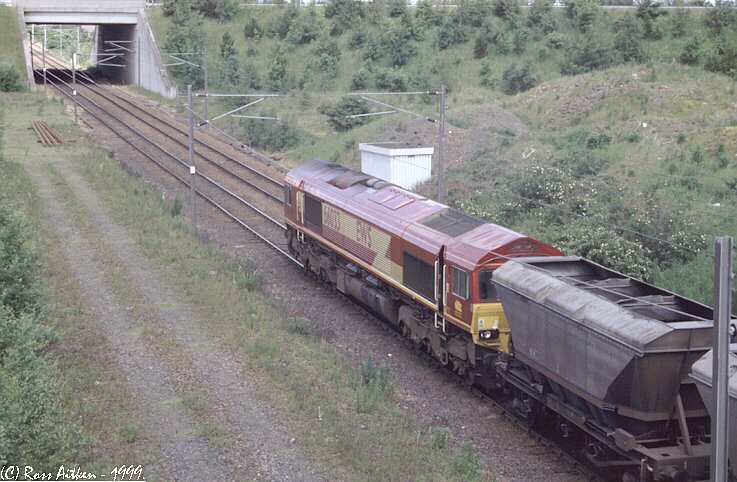 66033 departs from Millerhill with an unidentified westbound coal (M.G.R) service on Thursday 17th June 1999. 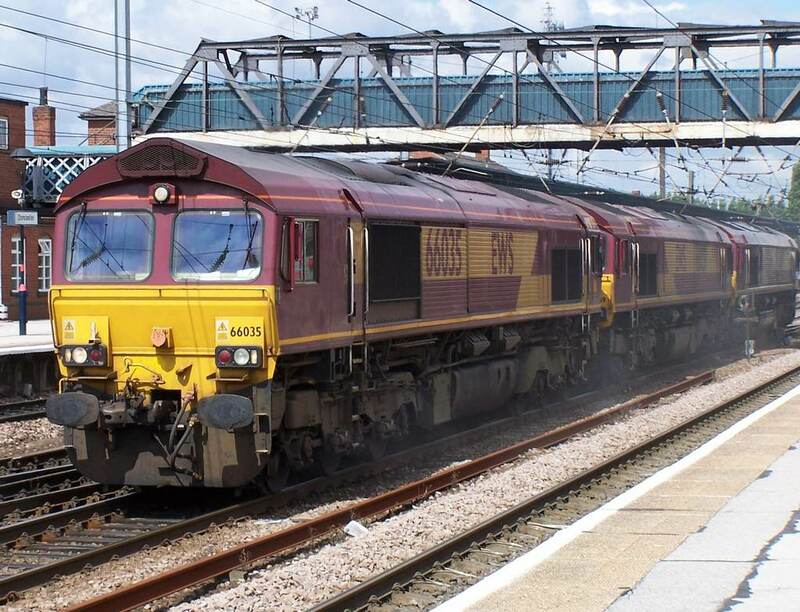 Well it looks like the paper train has returned to a 'shed' with class 60s only occasionally appearing. 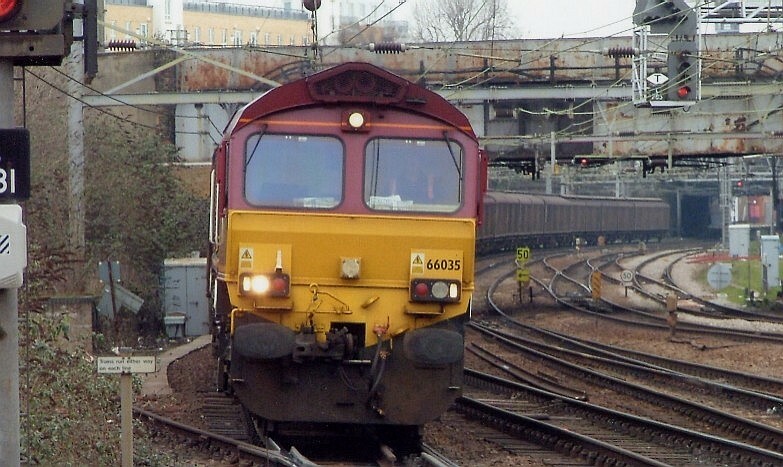 Here we see 66035 pictured unusually from platform 10a approaching Stratford on the 9th February 2005. 66035 on the Ripple Lane to Wembley/Dollands Moor Paper Train runs through the little used platform 10a at Stratford on the 9th February 2005. 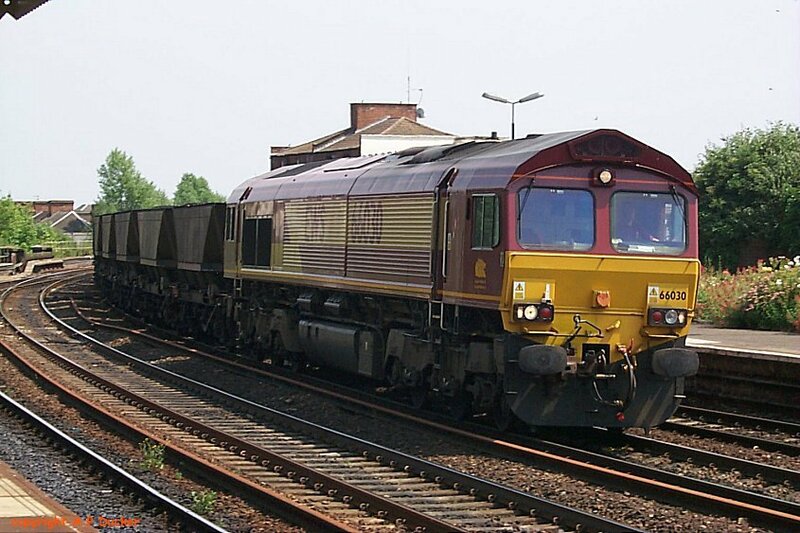 EWS 66035 at Doncaster station on 05/03/05. 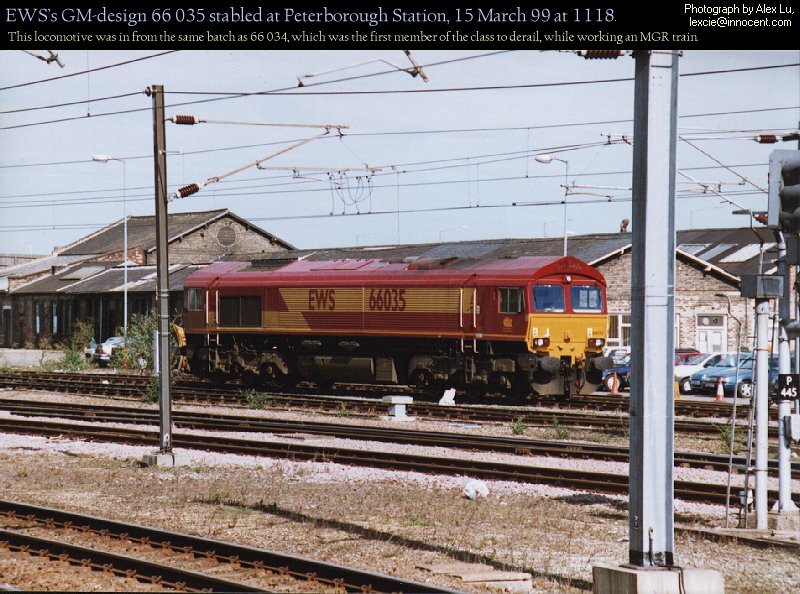 EWS’s GM-design 66 035 stabled at Peterborough Station, 15 March 99 at 1118. Detail from the previous photograph. 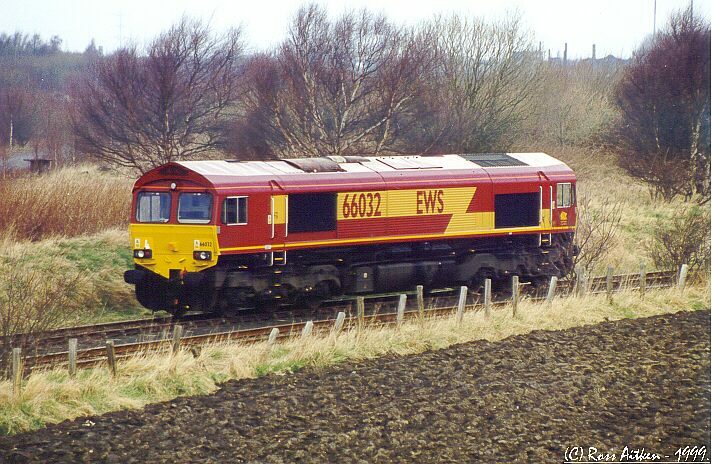 EWS’s GM-design 66 035 stabled at Peterborough Station, 15 March 99 at 1118. 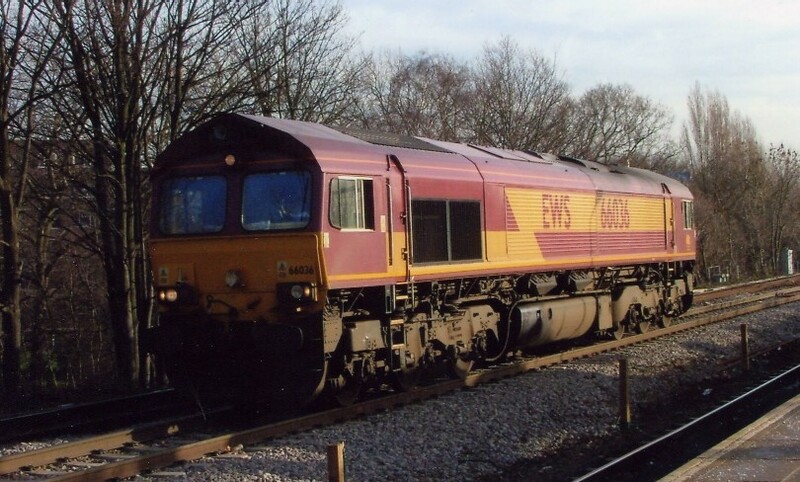 This locomotive was in from the same batch as 66 034, which was the first member of the class to derail, while working an MGR train. 66038 and 390020 pass at Hartford on 30/08/05. 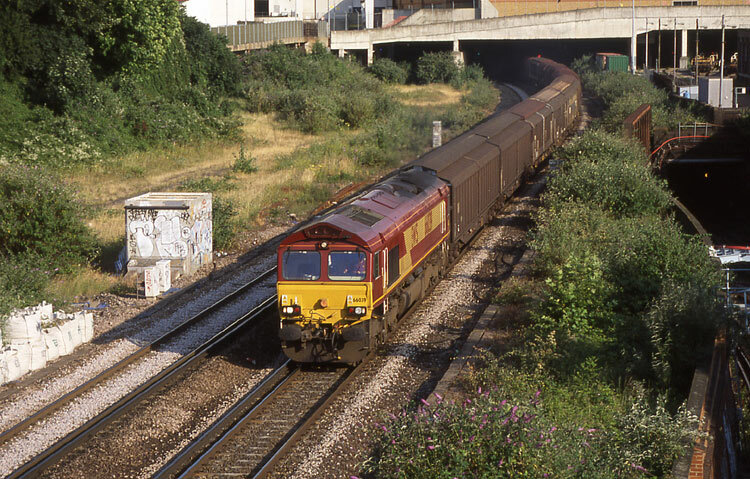 66039 passes underneath Cromwell Road bridge in West London with a Hoo Junction to Wembley freight working on June 24, 2003. 66041 comes of the Edinburgh suburban freight line at Slateford with the 6C16, 12:45 Millerhill - Ravenstruther coal empties on Tuesday 21st September 1999. 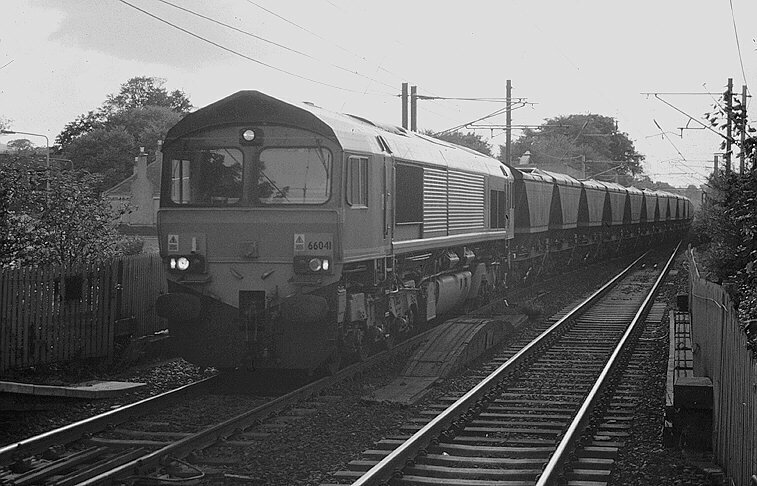 66041 passes through Slateford, Edinburgh with the 7B56 Ravenstruther - Millerhill loaded coal train on Tuesday 21st September 1999. 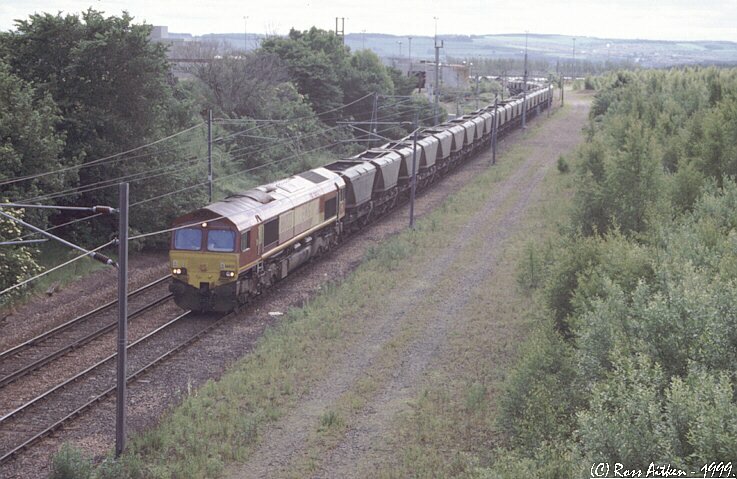 66041 departs Millerhill, Edinburgh at with an unidentified westbound coal (M.G.R) service on Fri 4th June 1999 at 07:55. 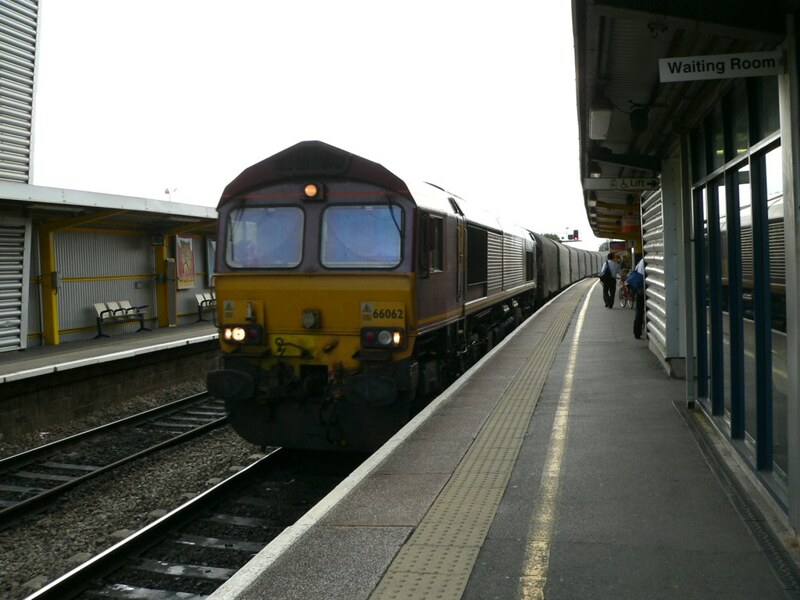 EWS Class 66/0 diesel locomotive 66062 hauls an eastbound freight train through Bristol Parkway railway station. Photo by Chris McKenna 18/09/2006. 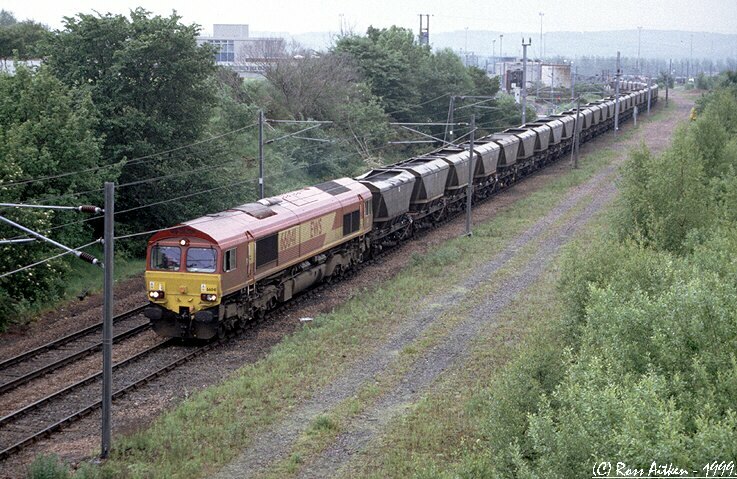 Awaiting it's next turn of duty which will not take place until Monday 66042 stands silent in Millerhill Yard a rake of empty M.G.R (coal) wagons on Sunday 8th August 1999. 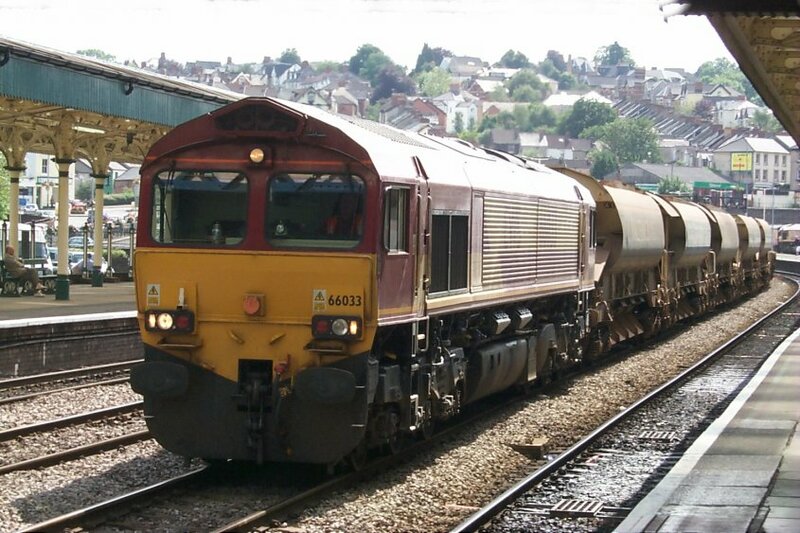 Northbound races through Leamington Spa Station July 2001. 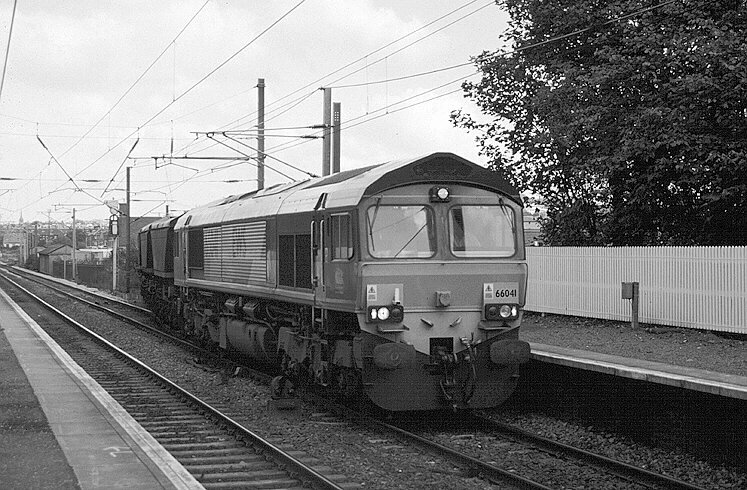 Class 66 working a through freight passing Newport General station. This photograph has been slightly re-touched to get rid of the canopy over hang. I like this one as its breaking the rules with the camera pointing in the general direction of the light source. Class 66s or 'Sheds' may not be our favourite locos but they can still make a good subject particularly when lit nicely as in this example of EWS 66036 which is waiting to join the North London Line at Gospel Oak. The date is the 13th January 2005. 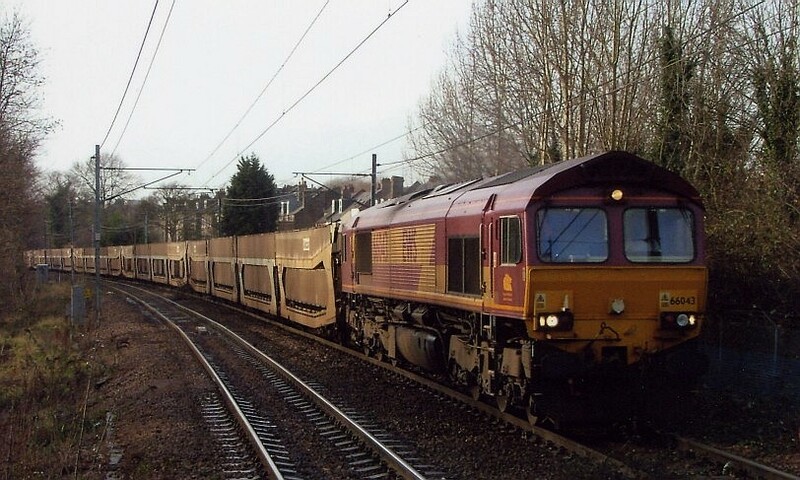 66043 on a cartics runs along the North London Line at Brondesbury on the 6th January 2005. 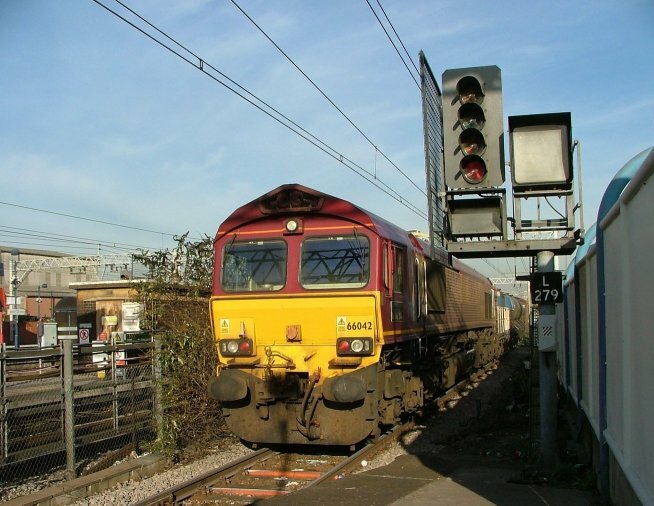 An unusual view of 66042 as it departs eastbound from platform 5 at Stratford on the back of the water-cannon train on the 14th November 2005. 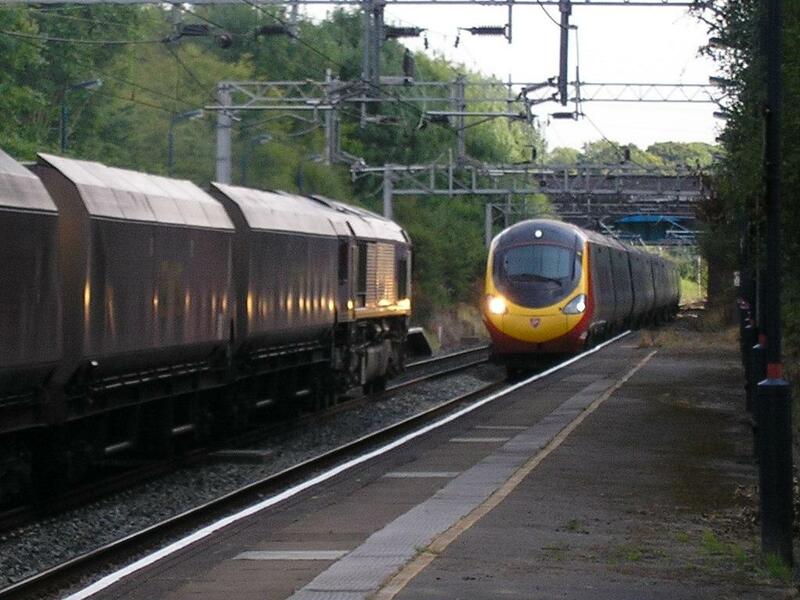 Its unusual to see this pair alongside each other at Stratford unless you happen to be there when the water cannon train makes an appearence. The 'Shed' 66042 has run into platform 5 and will then reverse whilst on 6 there is an eastbound Central Line train departing. Pictured on the 23rd November 2005.